"I Am Woman, Hear Me Roar"
"A prince on a white horse? not for me!" Christopher Stavrinides (born in Johannesburg, South Africa) is a fashion, portrait and beauty photographer. 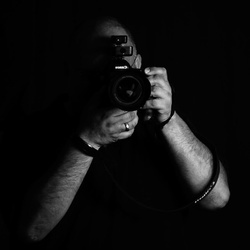 Christopher’s love for photography began at a young age and after emigrating to Cyprus he got seriously involved in photography and now shoots freelance for Moi Ostrov Magazine as well as taking on private work.